The year is 499. The place is Gea - a largely ethnic, linguistic and cultural unity, though not a political one. Its history has been one of intermittent warfare between its fifteen independent states and with surrounding countries. However, for the last quarter of a century the inexorable rise of Troia has welded the states, now provinces, into a formidable Empire... Gea is largely unified under the Troian Empire, but the present Emperor is inept and ineffective. 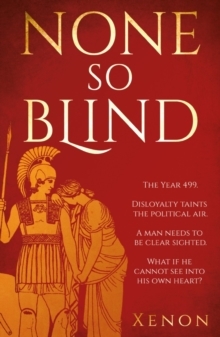 Dissatisfaction and disloyalty taint the political air and an aging swordmaster, Diomedes, finds himself having to unravel a plot against the Emperor, while struggling with his feelings for his friend's wife, whose life is in peril.